[S232] Ancestry.com, Quebec Vital and Church Records (Drouin Collection), 1621-1967. Montréal (Anglican Christ Church Cathedral,Actes), 1889. [S89] Family Search, Ontario Marriages, 1800-1910. [S57] A. Peterkin: 1660-1727 and William Johnston: 1727-1898, Medical Officers in the British Army, #1896. [S232] Ancestry.com, British Army and Navy Birth, Marriage and Death Records, 1730-1960. [S208] 1900 US Census, NH, GRAFTON, LEBANON. [S25] Samuel Sewall, Diary of Samuel Sewall (1973 ed. ), p.1080. [S205] Newspaper, The Boston News-Letter and New-England Chronicle, 22 December 1768. John George married Lydia Lee, daughter of Rev. Samuel Lee and Martha? (Unknown), before 1692.1,2 John George died before 1715. [S34] Unverified internet information, http://archiver.rootsweb.com/th/read/AUS-WA-PASSENGERLISTS/… (May 2007). [S89] Family Search, Parish registers, 1538-1881 Church of England. Parish Church of Hove (Sussex). [S205] Newspaper, The Belfast Newsletter, 21 January 1876. 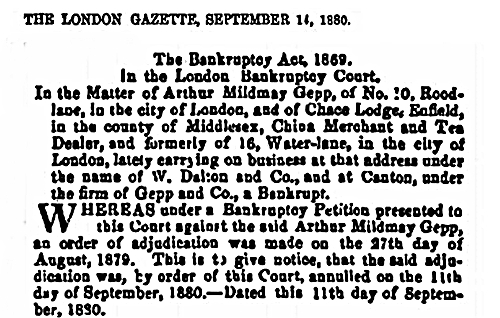 [S482] London Gazette, 14 September 1880. [S232] Ancestry.com, Civil Divorce Records, 1858-1915. Brigitte Germain was born on 14 September 1919. She married Albert Bédard on 12 October 1943. Brigitte Germain died in 1986. [S63] John Farmer, Genealogical register. [S154] 1860 US Census, Lebanon, Grafton, New Hampshire.